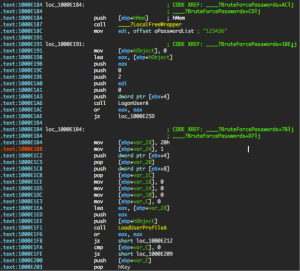 During the course of a Malware Emergency Response, it is often necessary to create YARA signatures or byte signatures for other tools to help identify files similar to the initial malware executables discovered on hosts across the network. Open source tools such as YARA are routinely used on jobs when customers have a deficiency in commercial tools and response time is critical. Creating byte signatures usually involves targeting the code to write a signature for, manually creating the signature in a text editor and testing the signature against its intended targets for validation. 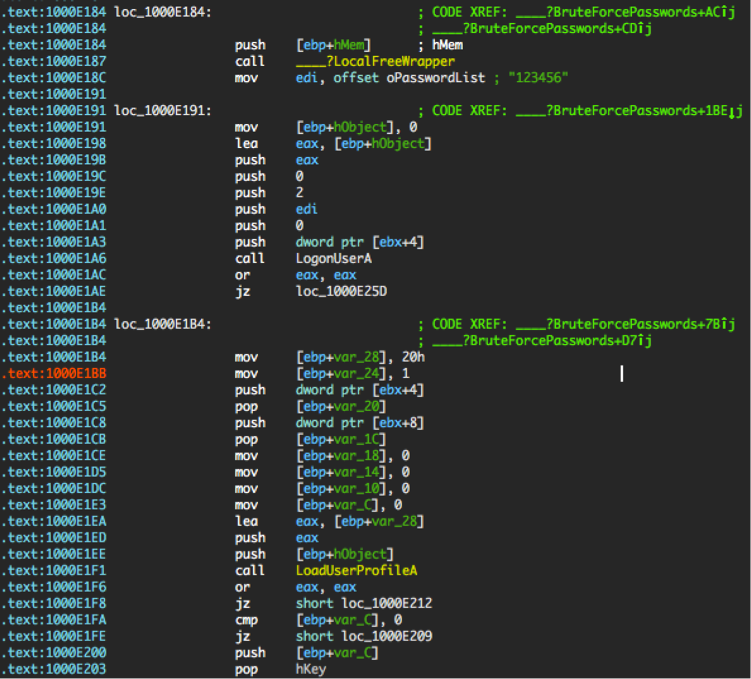 Many times, variants of the same malware family will contain the same code structure, but will need to reference memory addresses in slightly different locations. A responder needs to wildcard the bytes in the signature corresponding to memory locations to account for these differences. I am lazy, and response time is usually of the essence, so I decided to have IDA do a lot of the work I’ve done manually in the past. I’ve created a Python script that, when run from IDA with a selection, will produce output readily usable in tools using byte strings as signatures. Inclusion of any of the types in the __CONFIG of SignatureCreator, 'OP_TYPES_TO_WILDCARD' : [o_mem,o_phrase, o_displ,o_far,o_near], will wildcard any bytes after the initial byte of the disassembled line. The video, embedded below, demonstrates creating and testing a YARA signature on a password stealer. Happy hunting! I hope this script will help make your IDA environment a little more like home. If you have any questions, rants, fixes, etc. please send them my way.